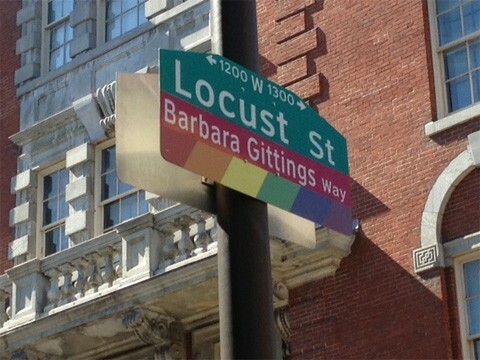 Philadelphia dedicated a street to gay rights pioneer Barbara Gittings today, at Locust Street between 12th and 13th streets, in the heart of the city's LGBT neighborhood. 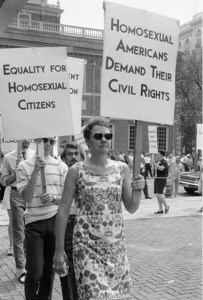 Known as the Mother of the LGBT Civil Rights Movement, Gittings (July 31, 1932 – February 18, 2007) resided in Philadelphia. She was the editor of the first lesbian publication. With Frank Kameny, she organized the Annual Reminders at Independence Hall and the Liberty Bell, which launched the LGBT civil rights movement. Gittings spearheaded the successful initiative to have the American Library Association include gay and lesbian books in the nation’s card catalogues and libraries. Kameny and Gittings challenged the American Psychiatric Association, resulting in homosexuality being removed from the list of mental illnesses. In 2010, Kameny had a street dedicated to him in Washington, D.C. The Giitings dedication kicks off Equality Forum's LGBT History Month. 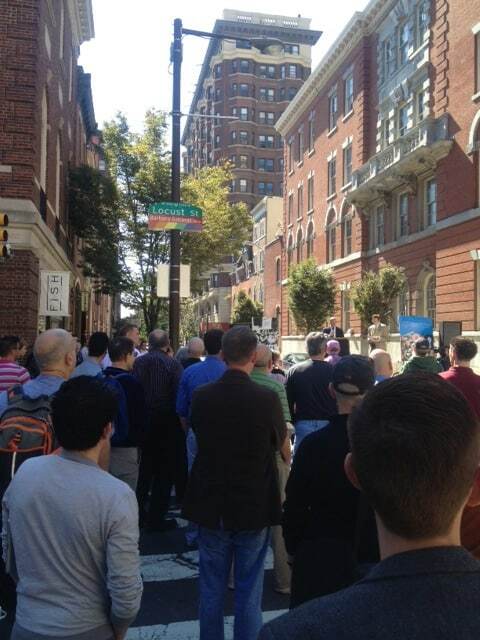 Collaborating organizations on the street dedication include Delaware Valley Legacy Fund, Equality PA, Independence Business Alliance, Mazzoni Center, Philadelphia Gay Men’s Chorus, Philadelphia Gay Tourism Caucus, and William Way LGBT Community Center.